OLIVIER GIROUD’S strong hold-up play earned Chelsea all three points as the Blues beat West Brom 3-0 at Stamford Bridge. 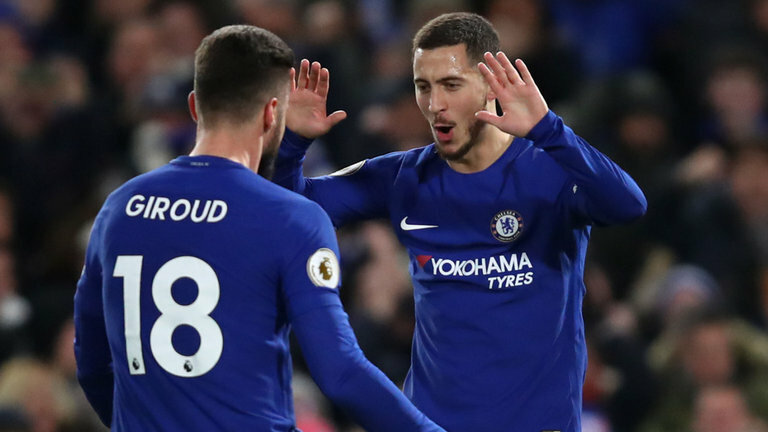 Starting for the first time since joining from London rivals, Arsenal, Giroud set up Eden Hazard for the opening goal after a half-hour, warding off a defender and letting his new teammate slice through the back line to score. Victor Moses found Cesc Fabregas at the top of the box, and the Spaniard looked to play the ball back to Moses, and while his rabona pass clipped a defender, it still found Moses streaking on net and the Nigerian finished coolly for a 2-0 lead. Earlier, the game ground to a halt, and with an hour gone Antonio Conte withdrew Giroud in favor of Alvaro Morata who returned from his injury layoff. With the Blues firmly in control, they tacked on a third with 20 minutes to go. A moment of brilliance saw Hazard cut inside to beat Jonny Evans, and fired on net, crashing the shot home inside the near post for a 3-0 lead and the game decided. The win gets Chelsea back to winning ways after a small two-game losing streak in Premier League play, pushing them above Tottenham into fourth position and a single point back of Liverpool in third.